Tom Gola, the NCAA men’s basketball career rebounding leader with La Salle and a five-time NBA All-Star, died Sunday, wife Caroline told the Philadelphia Daily News. Gola was 81 years old. 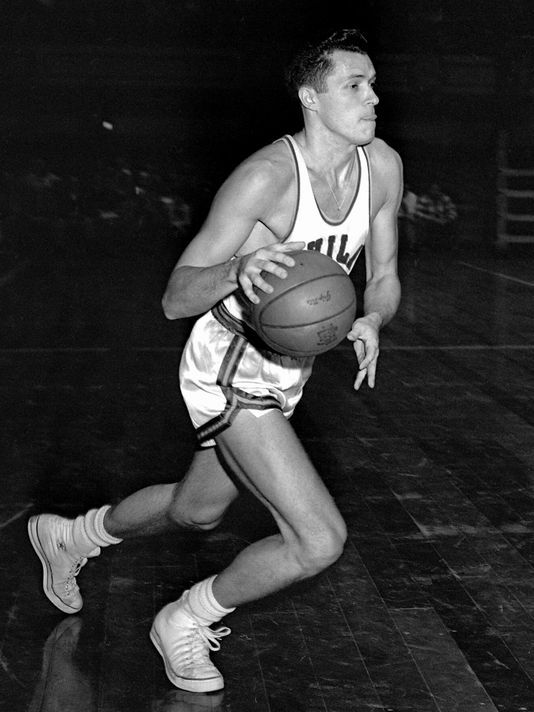 On the court, Gola led La Salle to the 1952 NIT title and 1954 NCAA championship. As a senior in 1955, the 6-6 swingman led the Explorers to an NCAA Tournament runner-up appearance. In addition to his record 2,201 rebounds, Gola scored 2,462 points. On the bench, Gola coached his alma mater for two seasons, compiling a 37-13 record from 1968-70. The 1969, which was suspended from postseason play, finished the year 23-1. Tom Gola Arena, where the Explorers play their home games, is named in his honor. Gola spent 10 seasons in the NBA as a member of the Philadelphia and San Francisco Warriors and the New York Knicks. He helped lead the Warriors to an NBA title in 1956. The versatile swingman averaged 11.3 points, 8.0 rebounds and 4.2 assists a game and was a five-time All-Star. He was enshrined in the Naismith Memorial Basketball Hall of Fame in 1976. “On behalf of the entire Philadelphia 76ers organization, we are deeply saddened to learn of the unfortunate passing of La Salle basketball legend Tom Gola,” Philadelphia 76ers CEO Scott O’Neil said in a statement Sunday night. “Tom will always be fondly remembered for his dedication to this city and as an icon for his accomplishments both on and off the court. Tyler Batiste also writes for The News Journal of Wilmington, Del. You are currently reading Tom Gola, NCAA rebounding leader and NBA All-Star, dies at ARE YOU NEXT.